Gates unlock the world to us and protect us where we live. Knowing a gate is properly installed and functioning is a great peace of mind for any residential or commercial landowner. Overhead Door Company of Lexington is your local gate and gate opener expert. From getting questions answered to making a purchase, we're here for the duration of your product. Our service, repair, and maintenance technicians are available whenever a problem arises. What kind of gate service do you need? If you are having difficulties with your gate opener, we can repair or replace it for you quick as a snap. If you need a specific type of gate, we have all varieties available. From security gates to horse farm gates, we have you covered. Alternatively, if you need gates for your apartment or condo complex, we have those, too. 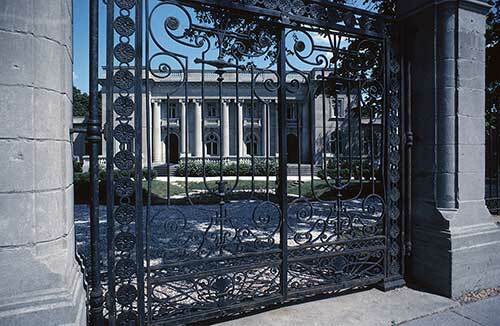 Basically, if you have a particular gate in mind, then we can help you realize your vision. For anyone who has residential or commercial gate operator service needs, contact us here at Overhead Door Company of Lexington. We have the experience, the practical expertise, and the dedicated staff to service all your needs!